M'uru has been defeated. This is the encounter we wiped the most in the past 2 years. More than 100 tries, all buffed up to the bone, chugging consumables like mad. And all so worth it when this kill makes Aphorism the server's leader in PvE. Also today is exactly 2 years since Aphorism has been created. So happy b-day Aphozoids, current and past. We've all come way too far since inception. Well deserved and well done! 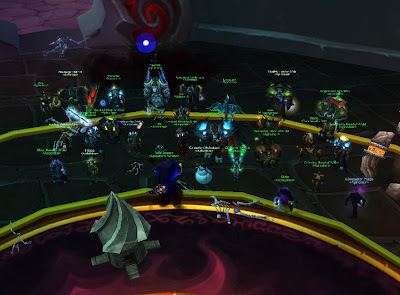 P.S: This is really the very first time a Horde guild has killed any boss before Alliance for the history of the server. Kudos Aphozoids!